This is often a good size for small to medium chameleons, arachnids, geckos, and very young bearded dragons. These nymphs are packed with nutrition, and their soft bodies mean easier, more complete digestion. First, they’re soft-bodied. This means their exoskeletons are easier to digest than larger roaches. They are a good choice for young animals with sensitive digestive systems. And a “soft body” means a higher ratio of flesh to chitin, which is the indigestible part of insects. Offering animals soft-bodied feeder nymphs helps maximize the amount of nutrition they get per insect. This is particularly good for young animals that need this extra nutrition. It’s also good for older animals at certain times, such as during breeding, illness recovery, and for managing stress. Animals that eat high chitin insects have to eat more of them to get the nutrition they need. Second, because they’re fast-growing and self-select certain dietary nutrients, Dubia roach nymphs eat (or at least prefer to eat) foods that fuel their rapid growth. This usually means protein, vitamins, and minerals. Of course, they like and need carbohydrates too, but given a choice, they tend to gravitate toward protein and high nutrient density. As far as gut-loading goes, this is great for the growing animals that eat them because what goes in a Dubia feeder’s stomach ultimately ends up in theirs. 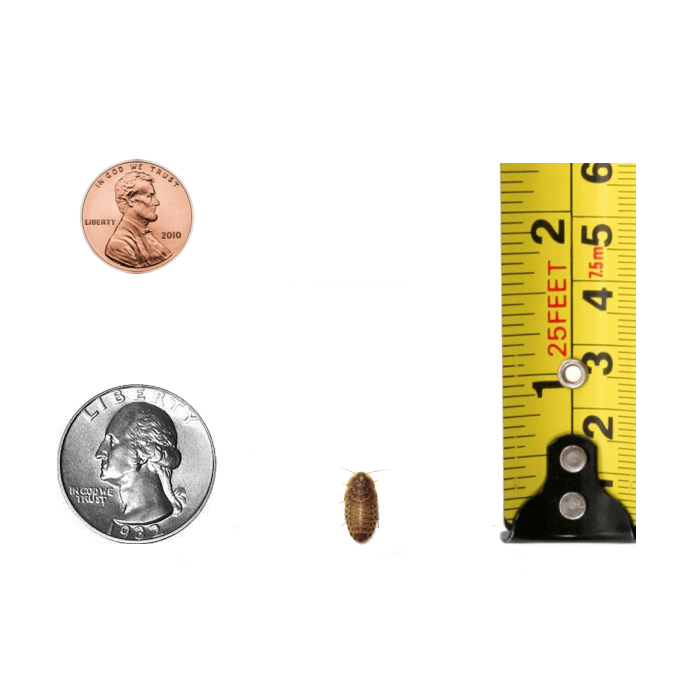 We think this makes ½-inch and similarly sized Dubia a little extra healthy for growing insectivores. It certainly means gut-loading is easier, more reliable, and more beneficial. What better scenario for gut loading than a nutritious primary feeder with a big appetite for the nutrients your animals need to grow healthy and strong? Sounds like a win-win! 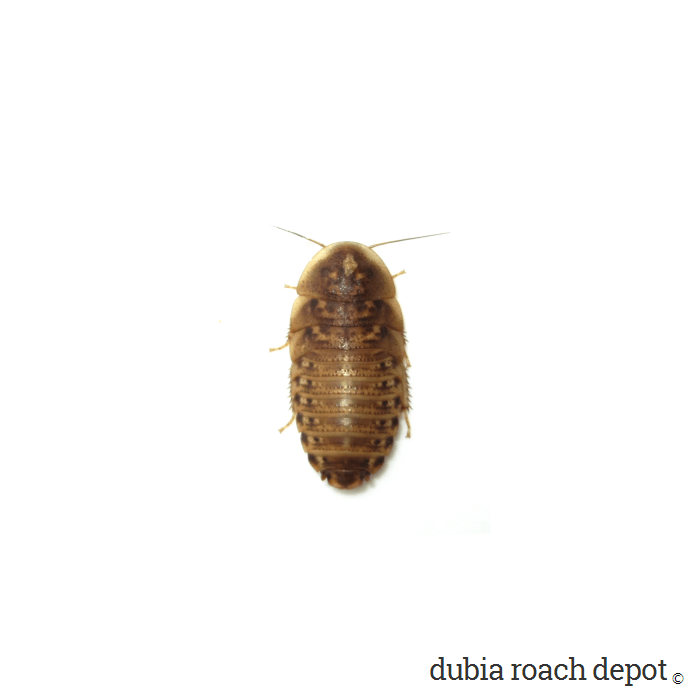 As we know, Dubia roaches are among the most nutritious feeder insects – if not THE most nutritious. It’s OK if you’re not interested in things like chitin and gut-loadability. Just choose the right size Dubia for your animals and you’re good to go! A little size fluctuation is normal. Most of these roaches will be about ½ inch. However, sizes can vary due to hydration, feeding schedule, etc. 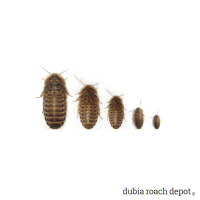 This website has the best selection, sizing, information, the fastest shipping, and the healthiest dubia roaches of all the website I’ve bought them from. 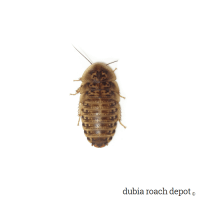 Dubia Roach Depot is my hands-down favorite. I only buy Dubia roaches from other websites when they’re out of stock here. Well, I had completely forgotten that these were on their way. So the box on my doorstep was a pleasant accidentally made surprise. Opened it up, all the dubias are in great condition. I was a bit worried that my t’s wouldn’t take to them but 6 out of the 7 have eaten within minutes so…I’m more than satisfied. 10/10 would get again.